You must make bookings at least 5 minutes in advance of the time at One Square Restaurant. One Square patrons receive complimentary car parking for up to 3 hours in the Sheraton Grand Hotel & Spa car park when they spend £10.00 or more. Please ask your server to validate your ticket before leaving One Square. Edinburgh offers an extensive bus service and you can plan your route via the local website. Buses 1, 10, 11, 15, 16, 17, 24, 34 and 36 all stop outside One Square. Edinburgh has two railway stations, Waverley and Haymarket, both within a 15 minute walk. Make the most of your weekend – join us at One Square every Sunday to enjoy our laid-back lunch menu. Overlooking Edinburgh Castle, One Square is the perfect place to savour a Bloody Mary and enjoy the soothing sounds of the Tom Finlay Jazz Duo, before tucking into some classic British comfort dishes. When it comes to special occasions at One Square, our elegant private dining room is reason enough to celebrate. Set back from the main restaurant, this sophisticated space is ideally suited to a memorable lunch, birthday dinner or more formal evening gathering. Our private room features contemporary artwork, warm walnut finishes, and perhaps best of all, floor-to-ceiling windows overlooking Festival Square and the iconic Edinburgh Castle. A welcoming brasserie located in the heart of Edinburgh, One Square offers a modern Scottish take on drinking and dining. One Square is somewhere to spend leisurely afternoons, to meet with friends for dinner or sit out on the terrace and sip a perfectly-poured G&T. Modern, seasonal and honest, the One Square menu features an inventive range of Scottish favourites, with an ever-changing selection of signature dishes on offer. Although the atmosphere is informal, service is never anything but professional, and with a private room for up to forty guests, One Square is just as suited to a special celebration as it is to a working lunch, a quick bite to eat between shops or an indulgent afternoon tea. For an even more memorable experience, there is always the option of Dining at The Pass, where you can watch our chefs apply the finishing touches to your dishes just before they are served. Booked the restaurant for pre theatre dinner due to excellent location; altogether very good, could not fault the food, service or surroundings. Very pleasant staff only added to our visit. More than happy to return on next visit to Edinburgh. One Square consistently delivers great service and thoughtful, delicious menus. Excellent staff saved the day! We were very badly let down by Open Table!! Your system allowed us to make a booking for Sunday lunch the day before, but when we arrived the restaurant said they had been fully booked for weeks. Fortunately the very helpful and attentive staff managed to find a space for us. A superb Sunday buffet style lunch followed. Would definitely recommend this restaurant. However, would definitely NOT RECOMMEND booking with Open Table!! Thoroughly enjoyed our meal there. It was very busy as it was a Saturday in the run-up to Christmas, but no complaints. Nice burger, but not special. Good service, pleasnt atmosphere. Annoyed by automatic addition of service charge (only 2 people) - service is the job. Would have given a larger tip than the service charge had this not already been added. As it was we didn't leave anything extra. Mussels and steak were really good but not sure about the crisps with the steak, why not chips?! Weird! Overall the service and standard of food was very good, not one plate left with anything on it. I would definitely go again. This was a graduation celebration and the new graduate was presented with a decorated dessert plate congratulating him on his achievement. An unexpected and very nice touch. The food was lovely and the staff were very welcoming. Terrible service. Had to send steak back because it was over cooked. Great food with perfect service on n a relaxed atmosphere. Sunday buffet lunch is excellent: lots of courses, lots of choice, all delicious and well-presented. The experience here is akin to dining in a hotel lobby, which isn't that for the reality. We were squeezed into a corner next to the waiter's terminal. This was despite other tables in the centre being empty. This added to the lack of atmosphere. The food was good, if poor value, service was ok. I wouldn't return. A very good place to eat. Food and service were both excellent. Great food, good service and relaxed atmosphere. I’m going back again soon! Hotel restaurant with ambitious, but unrealized, menu. Not inexpensive. Better food for same pricing in the area. Service staff were gracious and considerate. Food was excellent, the sirloin was especially good. Had to wait 20 minutes for a drink and service was painfully slow throughout the meal. Fantastic. Service amazing. Food delicious. Wheelchair and child friendly. Great food, with excellent recommendations from Ewa. First time for afternoon tea with my friend and we were made to feel very special. Will definitely be back in the future beautiful surroundings and excellent customer service with delicate sweets and savouries that were scrumptious. The beautiful tea selection was served just right. Overall it was a great experience. Highly recommended. Wanted a nice place for a surprise 70th dinner for my Dad and this was just the job. Great view of the castle, nice table for the six of us and really good food from a good choice on the menu. It's a good mix of being in a hotel and all that brings with it but also being slightly separate and a walk in place. Would recommend! Good was wonderful. I took my wife there for our anniversary. She is a great cook, and was hugely impressed. We agreed that the lamb was the best either of us had ever tasted. There is lots of space so it's not noisy. The decor is as elegant as you might expect from an up market hotel. 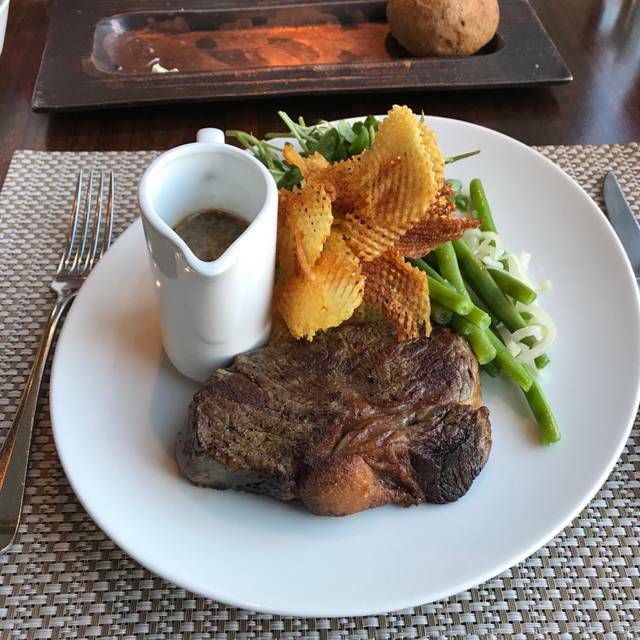 Best steak I have had in a long time, my wife loves the seafood and shellfish selection, all topped off with a great selection of wines. My Husband and I went to One Square for dinner and a special night out and it did not disappoint! The food was delicious and good value for the quality received. 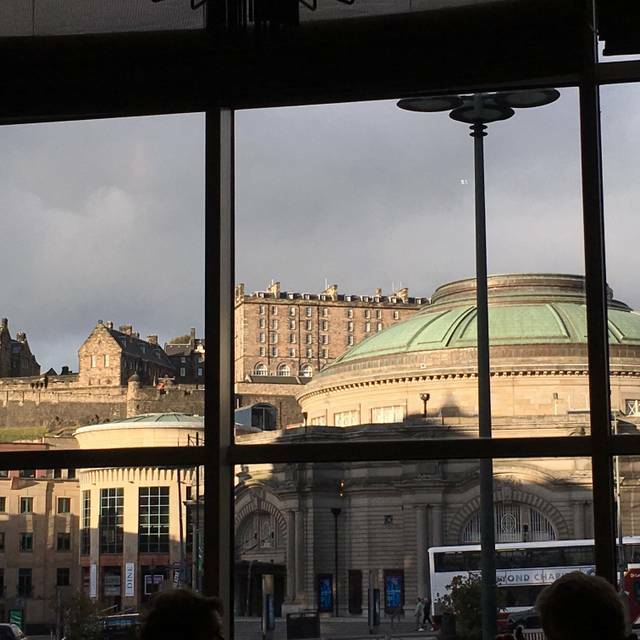 The restaurant has great views out to Usher Hall and the castle. Service was very friendly and attentive without being overbearing. We finished up the evening with drinks in the swanky gin bar. It is well worth a visit and we will definitely be back! Part of hotel and nice set up but as a Saturday night they were busy and looked a bit short staffed. Noticed that under our table and others could see bits of dropped food and napkins. Food was good but a little pricey for what got. 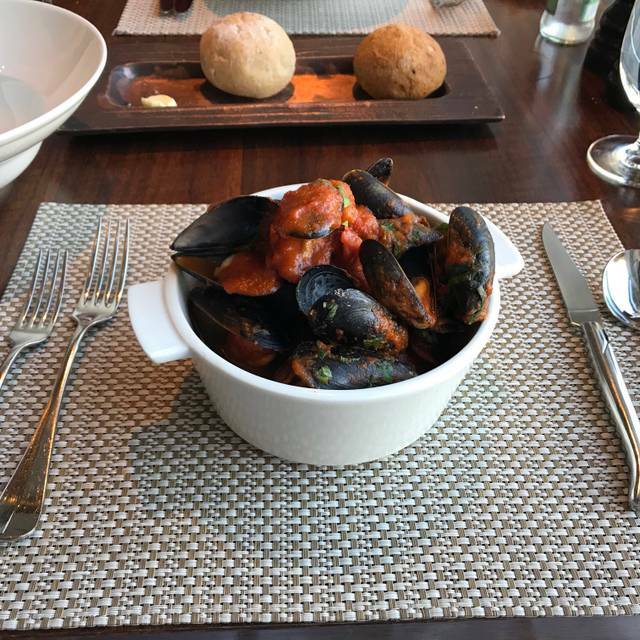 Except for the mussels which were great as a starter and large.